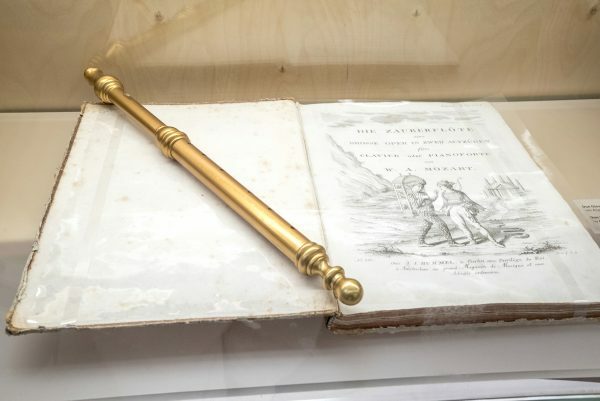 The festival was established in 1920 and although it has been revived in recent years with many new productions, its spirit remains the same as that of 1920 when it was officially opened with the famous performance of “Jedermann,” a play by the Austrian playwright Hugo von Hofmannsthal, in front of Salzburg Cathedral. Today, “Jedermann” is still one of the highlights of the festival and I was lucky enough to get a ticket! Although the performance was in German with no surtitles, it was easy to follow the storyline. 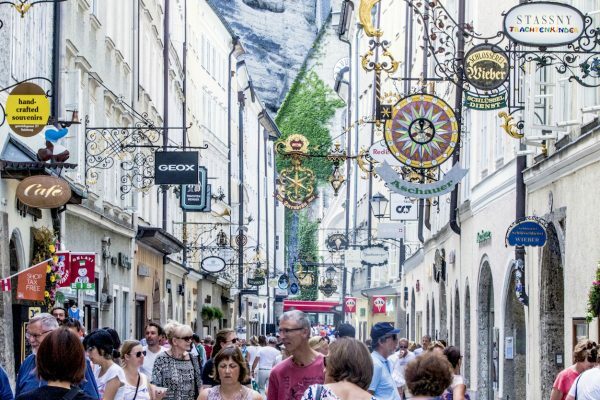 The setting of Salzburg’s Old Town (Altstadt), with its stylish medieval architecture and decorative facades, has kept the soul of the city tuned like a calm, peaceful musical composition. 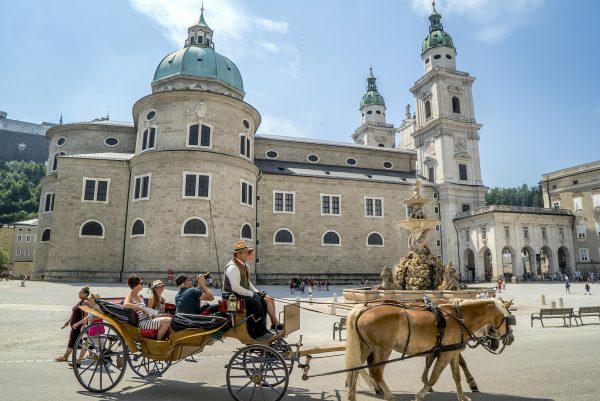 Salzburg is an attraction not just because of its most famous son, Wolfgang Amadeus Mozart, and because there is music in the air everywhere, but also due to its diverse cultural heritage. To tour the city, walking is an obvious choice. I headed for the Mirabell Gardens whose centerpiece is the Mirabell Palace, built in the early 17th century by Prince-Archbishop Wolf Dietrich Raitenau. This monumental landmark of Salzburg is surrounded by fountains, pools, and colorful gardens, including a beautiful rose garden. 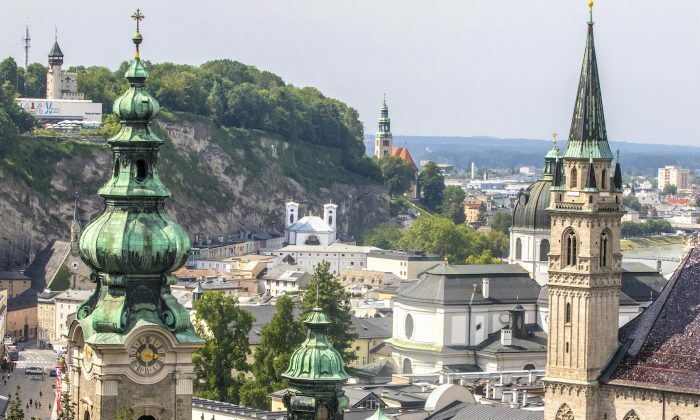 It’s not surprising that the Mirabell Gardens, with the backdrop of the old town and the stunning features of the castle overlooking the river, is one of the most visited attractions in Salzburg. 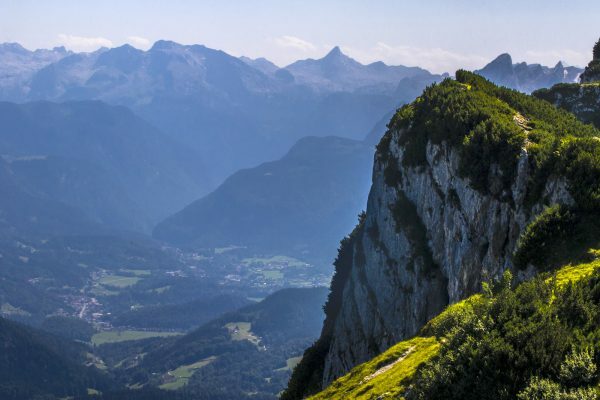 Part of its popularity is due to the fact that several scenes from “The Sound of Music” were filmed here. 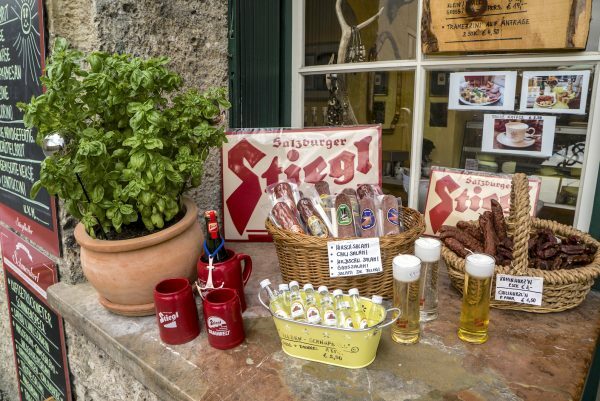 There are also tours to other locations related to the story of the Von Trapp family. Next, I strolled to nearby Makartplatz on the right bank of the Historic Quarter where several fine monuments are located. 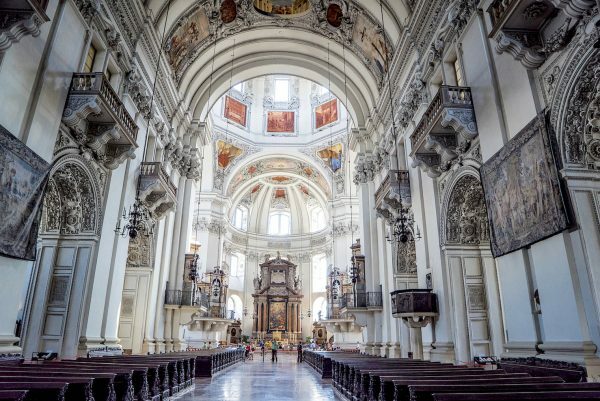 At the upper end of the square stands the Church of the Holy Trinity, built in 1702, a magnificent piece of baroque architecture ornamented with a large dome and twin towers. The square is also home to the former residence of the Mozart family. The composer lived here for eight years of his short life until, in 1781, he moved to Vienna. The building was restored after the Second World War and today houses a museum about Mozart’s life. There are frequent lectures and concerts held here as an added attraction. I crossed the river via the Makartsteg footbridge, famous for its thousands of “lovelocks” clamped to the railing as a token to the enduring love of couples. 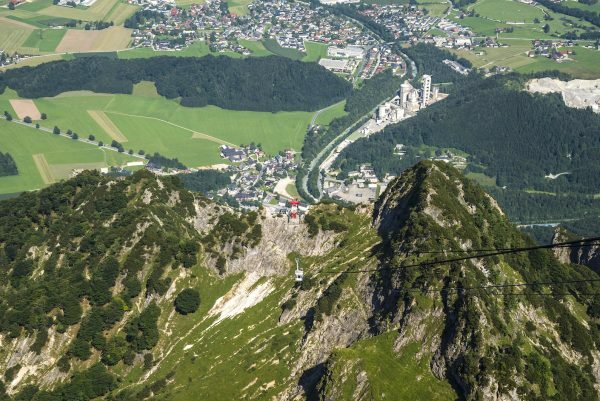 The bridge is a perfect vantage point to take in the beauty of the river and the surrounding sights of the Old Town, against a backdrop of the Untersberg mountain. Strolling alongside the river, I came to the Getreidegasse, Salzburg’s famous shopping street in the heart of the Old Town. Here, medieval iron guild signs hang over the stores—even McDonald’s had to adopt a guild sign to match the style of city. 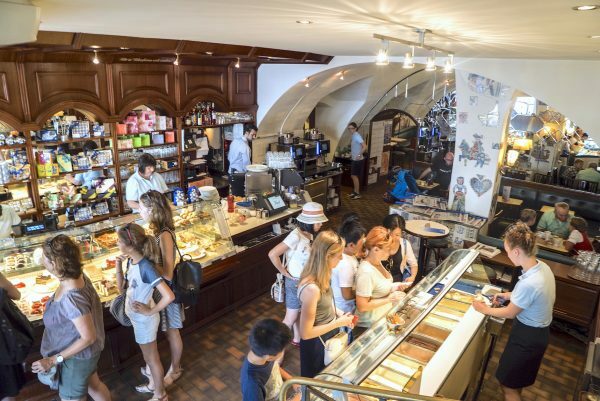 The architectural charm of this pedestrianized area is a big attraction as are the convenient little cafes, delicatessens, and shops selling local organic products and perfumes. No. 9 Getreidegasse is where Mozart was born and where his family lived before moving to Makartplatz. 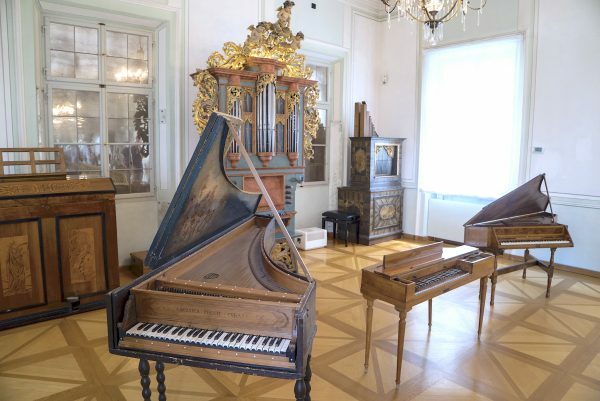 Now a museum, it exhibits different stages in Mozart’s life to just prior to adulthood and his interest in music and passion for opera. The next day my guide took me to Hellbrunn Palace, a 17th century baroque villa surrounded by gardens about five miles from the city center. The gardens are also on the radar of fans of “The Sound of Music” as the white glass gazebo was a set in the film. In the main building is a museum displaying several paintings and artworks. You can’t visit Salzburg without an evening at the opera. At the Large Festival Hall (Grosses Festspielhaus) in HofstallgasseI attended “Lady Macbeth of the Mtsensk District,”a variant of the Shakespeare play and subsequent Verdi opera. It tells the story of a lonely Russian woman who falls in love with one of her husband’s workers, leading to a murder. Performed in Russian, the opera kept me entranced throughout although I was thankful for the English surtitles. And that seemed a perfect way to conclude my visit to Salzburg, one of Europe’s most important musical and cultural centers.